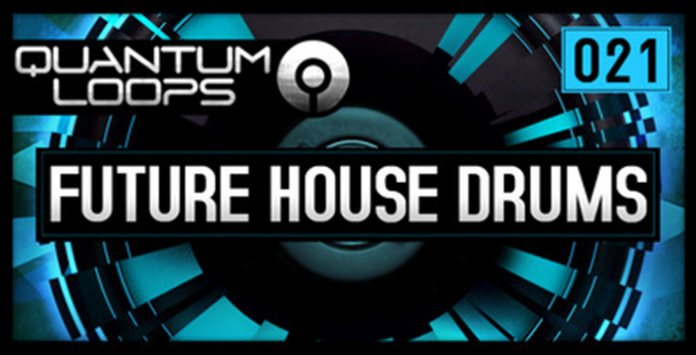 Quantum Loops are proud to announce the latest release, Future House Drums: Exactly what is says on the tin, this pack is jammed full of complex beats, rhythms, and fills, with RX2 files to boot. With over 1GB of drum loops at 126BPM, 300 with or 300 without kicks, including alternate loops for variety, all in .wav and .rx2, inspired by the likes of MK, Shadow Child, Chris Malinchak, Route 94, and many more, you can get the lot right here. Produced by Quantum Loops owner Dom Kane along with Quantum Loops regular Owen Sheppard (Castro), this pack contains 100s of loops carefully designed and created using everything from 808, 909, Tempest, Moog, Roland, E-MU, Juno, and processed using Neve and SSL to name a few. So whether you’re looking to write an experimental fill based track, or a head-nodding driving Future House monster, this pack has all the drums you need. As always, we recommend you experiment with our loops too! For drum loops, why not soak them in huge reverb and then filter out the low end, add some side chain compression, and stack them underneath your existing drum tracks to add in some more ambience and depth to your drum buss. Why not try reversing some loops, or throwing all sorts of FX over them?